Lorde has apologised after comparing her friendship with other famous people to being pals with someone suffering from an autoimmune disease. Chris Cornell's daughter paid tribute to the late rocker by writing an emotional message on Facebook following her first Father's Day without him. Singer Monica is endometriosis free after undergoing surgery last month (May17). 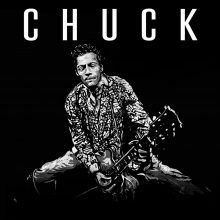 Last week, Britain paid their respects to three major veteran artists who had new albums on the market, placing Lindsey Buckingham & Christine McVie, Glen Campbell and Chuck Berry all in the top ten. Australia’s cream of pop will pay tribute to the genius of Carole King with the upcoming tribute album ‘Beautiful – A Tribute To Carole King’. Josh Homme of Queens of the Stone Age says the band’s new song ‘The Way You Used To’ is about “screwing”. Australia’s arm of Ministry of Sound has been rebranded TMRW Music. 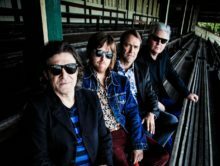 The Tea Party will return to Australia in October to mark the 20th anniversary of their fourth album ‘Transmission’ with a complete performance of the album but will that include the hidden tracks? The 2017 Helpmann Award nominations have been announced. Jimmy Barnes is up for a Cabaret award, Springsteen and Patti Smith are competing for Best International Concert and Dame Julie Andrews may win a Director award if ‘My Fair Lady’ can beat ‘The Book of Mormon’. Liam Gallagher has slammed former One Direction star Liam Payne's new music. Jay Z will release his new album '4:44' later this month. Pop trio Hanson are not interested in collaborating with Justin Bieber because they think his music is like a sexually transmitted disease. It was kind of astounding to find out recently that 60's pop songstress Lulu, had never officially toured the USA until 2013! The voice behind one of the most iconic ballads of all time, To Sir, With Love (and she was also one of the standout young actors in the Sidney Poitier classic film of the same name), Lulu's career may have peaked in the swinging 60's, but certainly did not end there. Ex-KISS drummer Peter Criss said back in March that he would be playing one final tour which would end on June 17 in New York at The Cutting Room and, so far, he's kept that promise. The story of Central Station Records, the boutique Melbourne record store that became a record store and music empire for its founders, is told in the new book ‘Music Wars – The Sound of the Underground’. 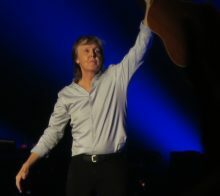 The Paul McCartney Australian tour for November and December 2017 is one of the Australian music industry’s worst kept secrets but it’s getting better all the time. ARIA winning singer songwriter Monique Brumby and guitarist Phil Ceberano will front Rock Academy Melbourne to mentor teen music talent in songwriting and performing these July school holidays. Kim Salmon has reunited the classic 1985 line-up of The Scientists for an Australian tour in October and November. Ed Kuepper has resurrected his anti-Saints band, The Aints, to perform the music of the original band. The Stems will reunite for the 30th anniversary of their debut album ‘At First Sight Violets Are Blue’ and perform the entire album. Stephen Furst, the actor who played Flounder in ‘Animal House’, has died from complications to diabetes at age 63 at his home in Moorpark, California. 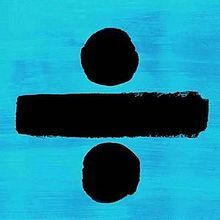 Ed Sheeran's "÷ (Divide)" stays atop the ARIA Albums Chart for a thirteenth non-consecutive week. For the fifth week in a row the Spanish infused song "Despacito" for Luis Fonsi, Daddy Yankee and Justin Bieber is at No.1 on the ARIA Singles Chart, plus the track scores it's first certification achieving 2x▲Platinum in sales. Madonna has reportedly purchased a $6.4 million (£5 million) palace in Portugal in a bid to help further her son's soccer dreams. Beyonce's father Mathew Knowles has confirmed she's a mum to twins. Ed Sheeran has been awarded an MBE and Billy Connelly is now Sir Billy Connelly in Queen Elizabeth II's Birthday Honors list. Bruce Springsteen may be making his Broadway debut this fall.